Location Characteristics: Hilo is the second largest city in Hawaii and is located on the windward (eastern) side of the Big Island. Nearly all of the important educational and financial institutions are located in Hilo. The University of Hawaii at Hilo was ranked one of the top twenty small universities in the nation and has a very diverse, international student body. Visitors and residents find Hilo to be a “local” town with warm and friendly people. While tourism is very important to the east Hawaii economy, it does not dominate, as in Kona. Cruise ships regularly dock at the Hilo Harbor and Hilo Bayfront frequently has canoe paddling regattas with statewide participation. The world renown “Merrie Monarch Hula Festival” is held in Hilo every Arpil and draws contestants from all over the world. Hilo is a very diverse community that is low key and very modest. That said, in my experience as a Hilo real estate professional, I’ve also found that providing the very best service is essentially about putting my clients first. This means keeping myself accessible, being a good listener as well as a good communicator, and responding quickly to your needs. So when you decide that you’d like to buy or sell a home in the Hilo areas, please contact me. – Kelly created Hilo Brokers, Ltd. in 1992. – He has lived in Hawaii for 30 years and sold real estate here for over 20 years. – Kelly is a graduate of the University of Hawaii at Hilo (UHH) with degrees in Tropical Agriculture and Political Science. – Currently Kelly is teaching Real Estate Finance at UH-Hilo. – His areas of expertise in real estate include: commercial real estate sales, agricultural properties, real estate investments & development, as well as residential and vacant land sales. Kelly was one of the first REALTORS to incorporate the Internet as a real estate sales tool. He saw the potential of reaching people world wide, and is currently developing an international division within Hilo Brokers, Ltd. He is a dedicated tennis enthusiast and community volunteer who shares his time between the towns of Hilo and Kamuela, where his young sons attend school. Location Characteristics: This geographic area stretches from Paukaa (which is just north of Hilo), to the town of Laupahoehoe. There are a wide range of property choices within this area, including beautiful sites with streams, waterfalls and ocean views. This is where much of the island’s farming takes place. The predominant soil type is a deep silty clay loam of volcanic ash origin, and is ideal for diversified farming activities. This vibrant greenbelt has lots of open rural space with a relatively low population base. It is one of the preferred areas with ideal lifestyle living conditions. Hilo is the second largest city in Hawaii and is located on the windward (eastern) side of the Big Island. Nearly all of the important educational and financial institutions are located in Hilo. The University of Hawaii at Hilo was ranked one of the top twenty small universities in the nation and has a very diverse, international student body. Visitors and residents find Hilo to be a “local” town with warm and friendly people. While tourism is very important to the east Hawaii economy, it does not dominate, as in Kona. Cruise ships regularly dock at the Hilo Harbor and Hilo Bayfront frequently has canoe paddling regattas with statewide participation. The world renown “Merrie Monarch Hula Festival” is held in Hilo every Arpil and draws contestants from all over the world. Hilo is a very diverse community that is low key and very modest. The Hilo market continues to favor buyers, as inventory is up and prices trending downward. There are more international buyers coming into the Hawaii market with the depressed dollar exchange rate. 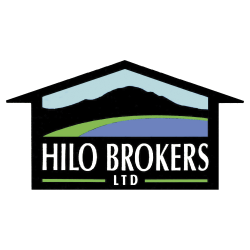 Kelly created Hilo Brokers, Ltd. in 1992. He has lived in Hawaii for 30 years, and sold real estate here for over 20 years. Kelly is a graduate of the University of Hawaii at Hilo (UHH) with degrees in Tropical Agriculture and Political Science. Currently Kelly is teaching Real Estate Finance at UH-Hilo. His areas of expertise in real estate include: commercial real estate sales, agricultural properties, real estate investments & development, as well as residential and vacant land sales. Kelly was one of the first REALTORS to incorporate the internet as a real estate sales tool. He saw the potential of reaching people world wide, and is currently developing an international division within Hilo Brokers, Ltd.
Kelly is a dedicated tennis enthusiast and community volunteer. He shares his time between the towns of Hilo and Kamuela, where his young sons attend school. This geographic area stretches from Hilo, the second largest city in Hawaii, to the Kohala Coast, where many of the island’s premier hotel resorts are located. There are a wide range of property choices within this area, and buyers tend to gravitate to locations that fit their specific needs: Hilo locations have ready access to government offices, service industries, Hilo Hospital and the University of Hawaii. The Hamakua Coast (north of Hilo) is a vibrant greenbelt with streams and lots of open, rural landscape. The Kohala District is diversified and has world class hotels and resorts, rural home options and the Paniolo (cowboy) town of Kamuela. North Hawaii Community Hospital and Hawaii Prepatory Academy are two well respected medical and educational institutions located in Kamuela. The Hilo, Hamakua and Kohala Districts on the Big Island have diversified offerings and tend to be very high quality of life locations: From the relatively conservative yet dynamic community of Hilo, to the diversified agriculture and gentleman farms of Hamakua, to the upscale resorts and estates of Kohala – there is something for everyone! Sellers have been adjusting their listing prices downward and offering incentives to attract buyers in an eroding market. More international buyers are considering these areas due to the solid value and relatively attractive dollar exchange rate. Hilo is the second largest city in all of Hawaii. Most of the services and businesses on the east side of the Big Island are located in Hilo. It is also home to the county seat and includes the county, state, federal, and judicial buildings. While Hilo tends to be a rainy place, the weather patterns are not always predictable. Several weeks or months may go by without any substantial rainfall. Nearly all of the important educational and financial institutions are located in Hilo. The University of Hawaii at Hilo was ranked one of the top twenty small universities in the nation and has a very diverse, international student body. Visitors and residents find Hilo to be a “local” town with warm and friendly people. While tourism is very important to the east Hawaii economy, it does not dominate, as in Kona. Cruise ships regularly dock at the Hilo Harbor and Hilo Bayfront frequently has canoe paddling regattas with statewide participation. The world renown “Merrie Monarch Hula Festival” is held in Hilo every Arpil and draws contestants from all over the world. Hilo is a very diverse community that is low key and very modest. Hilo is a relatively conservative community and sees less volatile market swings that other areas of Hawaii. Some first time home buyers and renters are taking advantage of the soft market conditions and relatively low interest rate environment to purchase Hilo homes. This is an excellent time for first time home buyers to negotiate a deal. Builders and contractors are sharpening their costs and overhead and looking to provide lower cost and more value in the new home construction market, which has seen a downturn in volume due to the slowing market. Several new residential condominium projects in Hilo are being readied for construction, with a targeted buyer profile of baby boomer and retirees. Most existing condominiums in Hilo were built over 25 years ago. Hilo is the second largest city in all of Hawaii. Most of the services and businesses on the east side of the Big Island are located in Hilo. It is also home to the county seat and includes the county, state, federal, and judicial buildings. While Hilo tends to be a rainy place, the weather patterns are not always predictable. Several weeks or months may go by without any substantial rainfall. Nearly all of the important educational and financial institutions are located in Hilo. Visitors and residents find Hilo to be a “local” town with warm and friendly people. While tourism is very important to the east Hawaii economy, it does not dominate, as in Kona. On a scale of 1 to 5, with 1 being a buyers market and 5 being a seller’s market, Hilo is at a 2. This is a buyers market. On a scale of 1 to 5, with a 1 reflecting sales prices down and 5 reflecting prices up, Hilo is “Down”, with a rating of 2. Unlike other areas, such as the Puna District (south of Hilo), there has not been a tremendous drop off in the asking or selling prices of homes in Hilo. When comparing the data from 2005-2006 to 2006-2007 the drop has been less than 10% for those homes priced $500,000 or less. This is an excellent time for first time home buyers to negotiate a deal. Hilo is roughly divided into 5 areas according to tax key. The area along the ocean (3-2-1) has zero properties for sale at $500,000 and under. The remaining areas (3-2-2, 3-2-3, 3-2-4, 3-2-5) have 121 listings with an average listing price of $364-380,000. Please note that one of these areas, Kaumana City, does not have county water and features the most affordable homes, some of them with spectacular views of Hilo Bay at an elevation of 2000 ft. 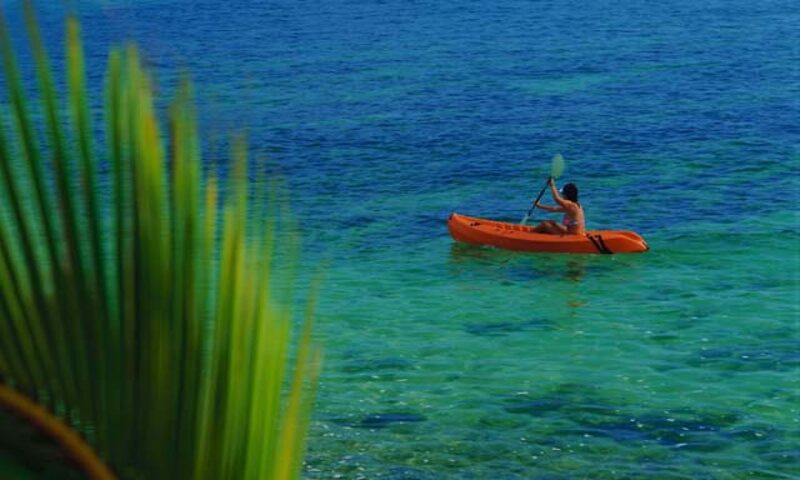 If you want to be close to the heart of activities, live in a town that retains its charm, and enjoy the beauty of Hawaii, then Hilo would be your first choice. Area Characteristics: Hilo is located on the east side of the Big Island of Hawaii. It is the second largest city in Hawaii with a population of approximately 60,000. Generally this is a lush green area with fair amounts of rainfall. The population makeup tends to be more local (native Hawaiians) then that of the Kona area, or west side of the island. The county, state, and federal offices are all located in Hilo, as well as the University of Hawaii at Hilo, a major contributor to the local economy and culture. For the individual thinking of relocating to Hilo, you will find the people warm and friendly, and there are numerous opportunities. Unemployment is extremely low, and well paying jobs may be hard to find. On the other hand housing is relatively affordable when compared to other parts of Hawaii or the continental U.S. If you are looking for a small town feel with all the amenities of a larger city, Hilo is the place to be. Buyer’s or Seller’s Market: On a scale of 1 to 5, with 1 being a buyers market and 5 being a seller’s market, Hilo is at a 2. This is a buyers market. Recent Price Trend: On a scale of 1 to 5, with a 1 reflecting sales prices down and 5 reflecting prices up, Hilo is “Down”, with a rating of 2. Hilo has not really been affected by the market downturn over the past 1.5 years. Sellers are still listing their properties at nearly the same price range as last year. The difference is, there is greater inventory on the market, and sellers are often willing to take less than asking price in order to move their properties. Over the last year those properties that were listed on the MLS in the Hilo area (up to 1 million) sold for an average of $375,434. Currently, there are 143 properties listed that fit this description, with an average listing price of $428,059. As these properties linger on the market, most of these sellers will accept less. While this is definitely a buyer’s market sellers, particularly those of high end properties, are still getting fair value.